Funny Picture - Can't work the tip? Restaurant. 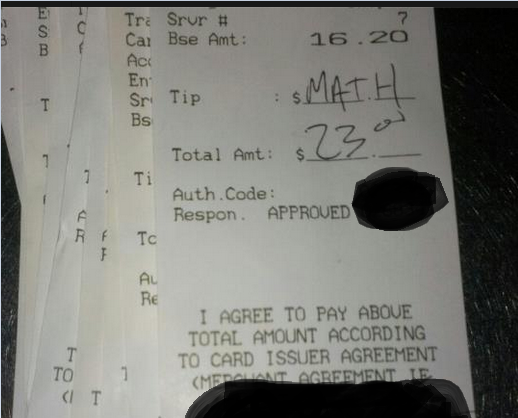 Math.